Ada pertanyaan untuk Yufuin Santoukan? Terletak strategis di Yufu, Yufuin Santoukan adalah tempat yang luar biasa untuk menelusuri kota yang aktif ini. Dari sini, para tamu dapat menikmati akses mudah ke semua hal yang dapat ditemukan di sebuah kota yang aktif ini. Yang tidak ketinggalan adalah akses mudah dari hotel ini ke sejumlah obyek wisata dan landmark kota ini seperti Noichigo, Tsunouchiya, You-ki-ya. Fasilitas dan pelayanan yang ditawarkan oleh Yufuin Santoukan menjaminkan pengalaman menginap yang menyenangkan bagi para tamu. Untuk kenyamanan para tamu, hotel ini menawarkan layanan kebersihan harian, toko oleh-oleh/cinderamata, penyimpanan barang, tempat parkir mobil, layanan kamar. Masuki salah satu dari 13 kamar yang menggoda ini dan lepaskan rasa penat Anda dengan sejumlah fasilitas yang tersedia seperti televisi layar datar, pembersih udara (air purifier), akses internet - WiFi, akses internet WiFi (gratis), AC. Pemandian air panas, spa, pijat di hotel ini adalah tempat-tempat ideal untuk bersantai setelah hari yang sibuk. Yufuin Santoukan adalah destinasi serbaguna bagi Anda sebagai akomodasi hotel yang berkualitas di Yufu. Check-in tidak memungkinkan setelah pukul 18.00. Tamu yang datang di luar waktu check-in yang telah disebutkan diwajibkan menyediakan informasi perkiraan waktu kedatangan pada kotak Permintaan Khusus ketika memesan. Pihak properti menyediakan layanan penjemputan dari Stasiun JR Yufuin. Harap menghubungi pihak properti jika Anda tiba di stasiun. Properti tidak memiliki staf yang dapat berbicara Bahasa Inggris. Anak di bawah usia 6 tahun akan dikenakan biaya JPY 2,160 per anak per malam ketika menggunakan ranjang yang telah tersedia. All staff are very nice, meals very delicious for breakfast and dinner, the lady waited at door and handed over the umbrella at the rainy morning, two minutes walked to the lake though it is very small never see such beautiful scene in the morning as a paradise. Good place to stay, staff are friendly , polite and nice especially the lady called Sakura who served us dinner and breakfast . Very near to the lake so that I can see the mist in the early morning before sunrise. They can drive you from the train station to the hotel, just notify them beforehand. The staff are really kind and attentive. It's the best service I've ever had. The hot spring facilities are impressive. I will definitely visit the hotel again in winter for different experiences of the natural views. Money worth, well spent a wonderful night here with my wife and we both had an experience that we will never forget! The food and services are excellence and location is very convenience! Highly recommend! Staff "EBI" explained each food in detail. And the food was delicious, too. The room was so neat and the water in the hot spring was just right, so it was good to enjoy. I think it is a really good place to travel with family. Thank you for your kind hospitality and EBI. He came to pick us up right away even though we arrived at the station earlier than we told before. I think the reason why the hotel asked for the gender is to prepare a dress that fits the gender. So When arrived the room, we could feel that the room was ready for us. It was good from this careful concern. The staff, who were assigned us, combined with humor and kindness, treated us with a smile all the time. All the staff in Yufuin Santoukan were kind. Thank you very much. In the dinner, because I couldn't eat raw food, she changed it to cooked food for me! Even after checkout, he took us back to Yufuin Station. Just there were small drawbacks. It was very embarrassing to see a live mouse in an open-air hot spring in 金鱗の湯 and the bottom of the bath in 妃泉の湯 was slanted enough to fall down when entering, but there was no warning sign. Despite these shortcomings, the memory in Santoukan is full of good memories. Thank you for making and serving us a great experience. 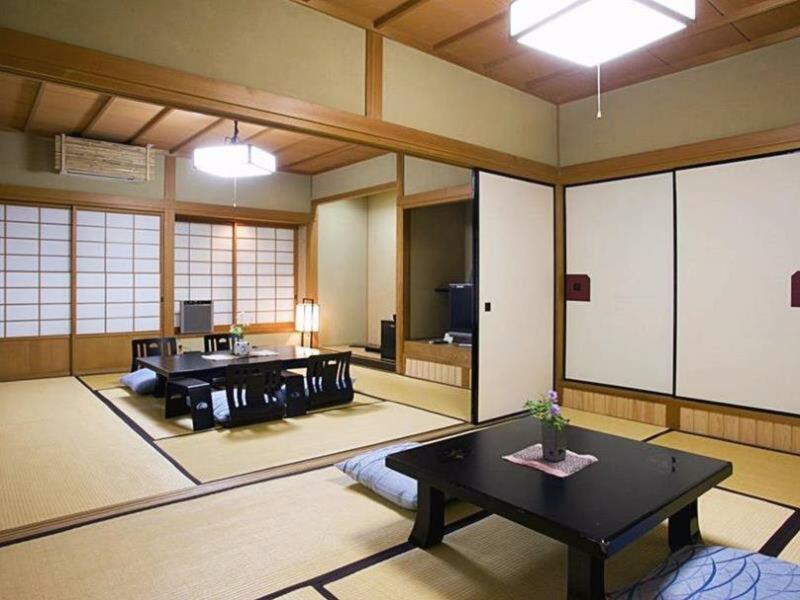 A comfortable traditional-Japanese style accomodation with exellent service and wonderful catering! Secluded location makes its quietness. However, it's very near from 湯の坪街道, Yufuin floral Village and 金鱗湖(about 5 mins on foot). 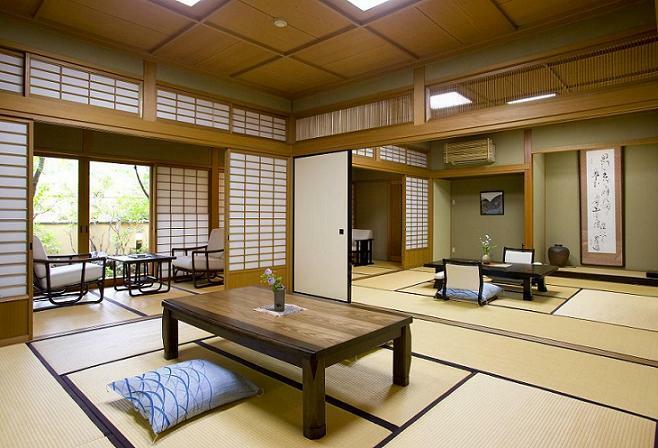 It's a nicely decorated and maintained ryokan. 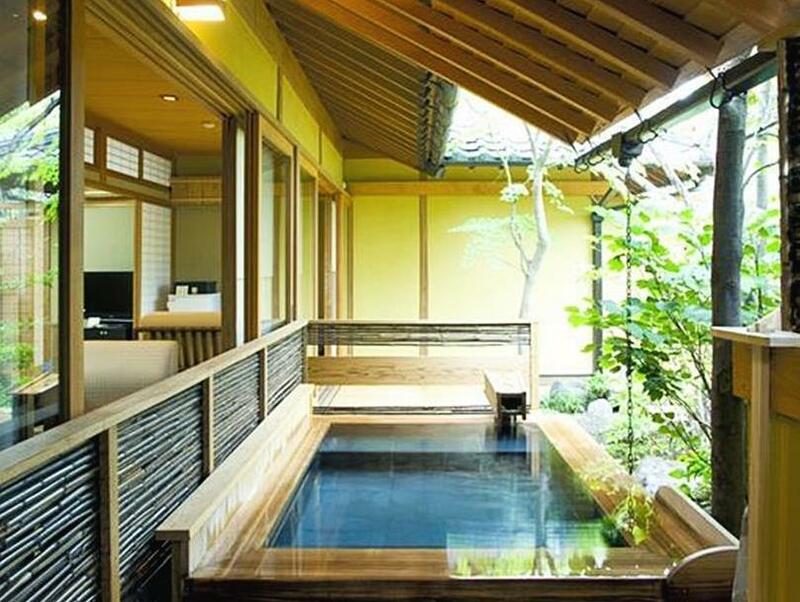 There's four hot springs in the Ryokan, each with its own characteristics and are well-kept. Amenities choices are wide. Our dinner set came with a wagyu shabu-shabu, and all the dishes are nice. It's next to Kinrinko (the lake) so is in very good location. It's very traditional onsen, it was nice just walking around the hotel. There are four onsen you can choose, and the meal is very nice!!!! Love it!! Staffs are very friendly and helpful. 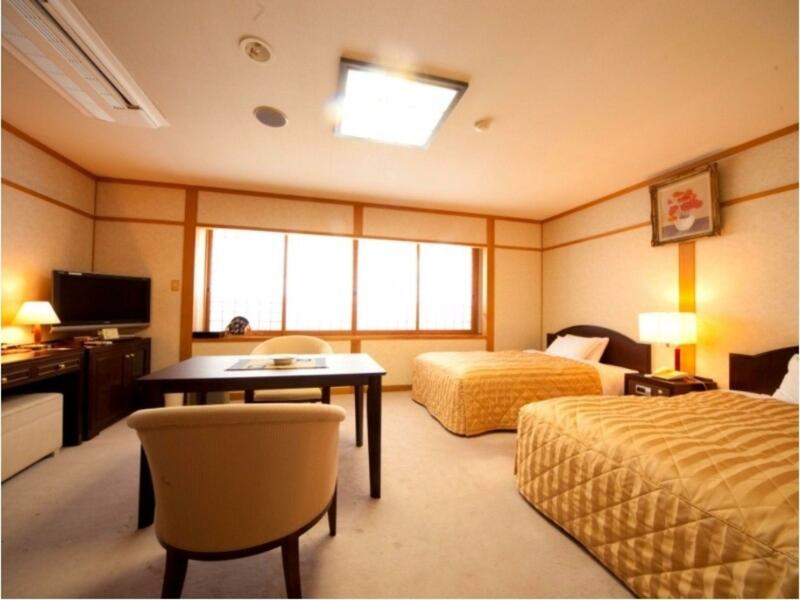 We stayed in Superior Japanese Style Room the room is very spacious and clean. The amenities provided are very nice too. Dinner was awesome! Every single dishes are piece of art yet taste so delicious! The beef was really good! However the breakfast could be better ;-) I was in Kurokawa Onsen before my stay in Yufuin. I prefer the onsen in Kurokawa over Yufuin's. This is the first time I received such an exclusive service in Japan. Food is good and I really like the fact that the meals are served in your room. Staff are very friendly and helpful. Strongly recommended. The place was clean and tiny, with few hot spring indoor and outdoor. What amazed me most was the dinner and breakfast served in the room. The food were delicious and delicate. It was totally worth it. 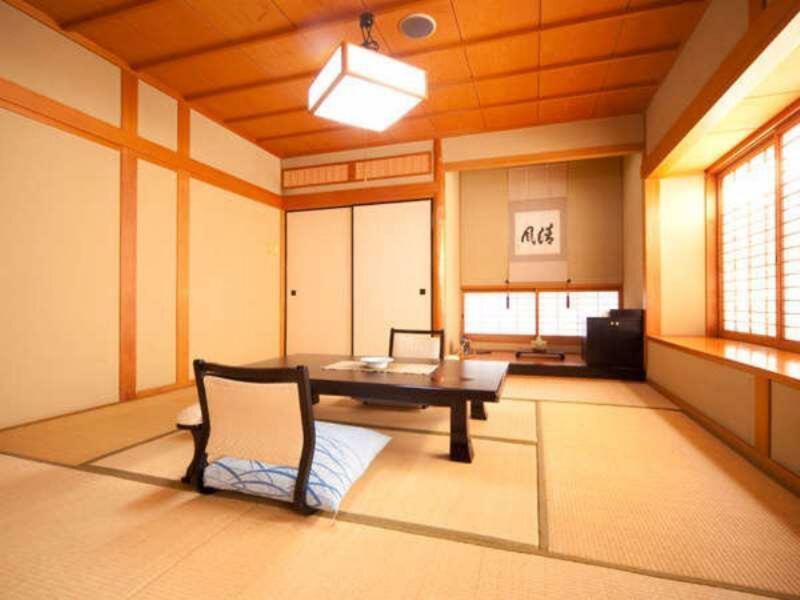 I had stayed there for one night, which I have greatly regret because I just so much love the beautiful atmoshere and those wonderful indoor and outdoor onsen, I should have stayed two nights next time. Hotel itself is not huge but service is truly magnificient. Cheerful and personal, extremely patient in answering all sorts of questions about the gourmet breakfast and dinner (i am extremely interested about the food they are offering, very fresh very local, it is not cheap in staying here but well worth every penny!) They have two sets of onsens (total 4 of them), clean and quiet, I enjoyed my every second in these hot bath, though they dont have lovely view facing the sea whatsoever like other onsen. Location of hotel is rather far away (30mins slow walking from JR Yufu station) but you can enjoy a lot of shopping and local food along the way, so 30mins is not a problem for me. However you can always ask for the hotel to pick you up or drop off at station, if you have big lugguage and do not enjoy walking. The famous lake is just around the corner, make sure to travel in the morning, it is not a big lake but truly beautiful. loved this place. I booked a room with private bath. Breakfast and Dinner were great - presentation is seriously michelin level. Pick up service was a nice complimentary bonus, and the staff are so kind and welcoming. My mother and I thoroughly loved this place and plan on coming back on our next visit to yufuin. Highly recommend! This is seriously a great value, considering the quality of the room, service, and food you are getting.